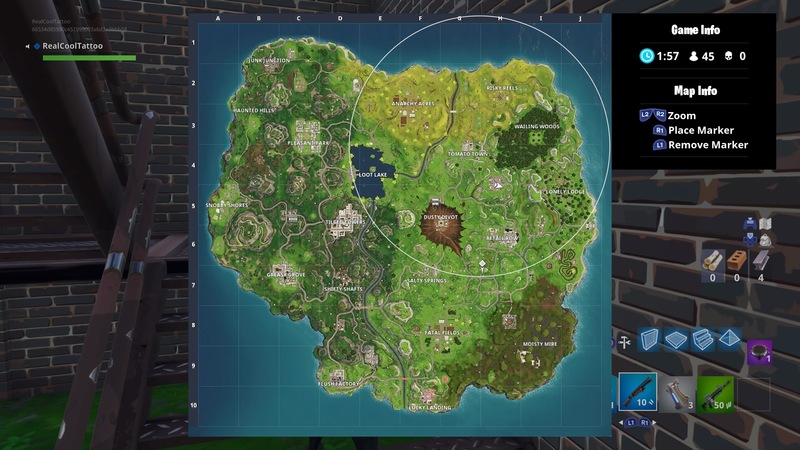 You’re going to have to visit nearly every corner of Fortnite’s dense and varied map to complete this challenge. 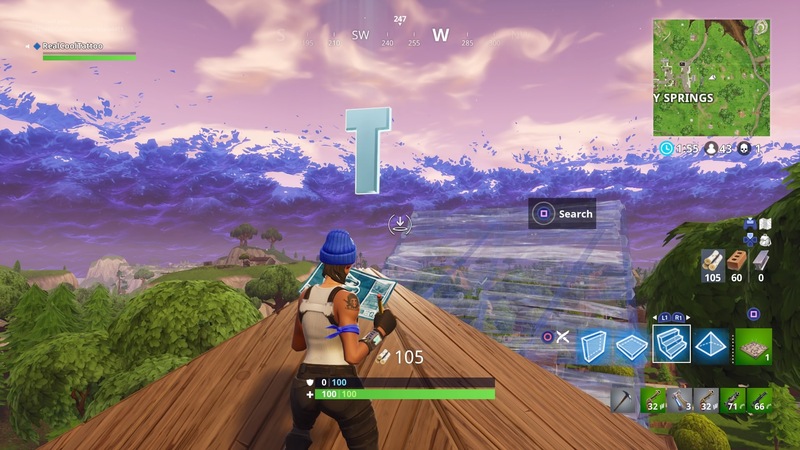 Here’s where and how to search F-O-R-T-N-I-T-E letters in Fortnite. There are only a couple more days left for you to complete this challenge before the Fortnite Season 5 start date: this Thursday. You don’t have to find these letters in a particular order, you just have to find the letter at the given location. That means you can visit the locations on this list in any order, so if one’s giving you trouble, move onto the next one and try again later. We’ve highlighted how we completed the challenge, but we’ll list every possible letter location as well. The first letter location that you need to visit is the red barn in Anarchy Acres. It’s the one with the rooster weathervane on top. As you drop in, you should see the letter glowing on the top of the building. 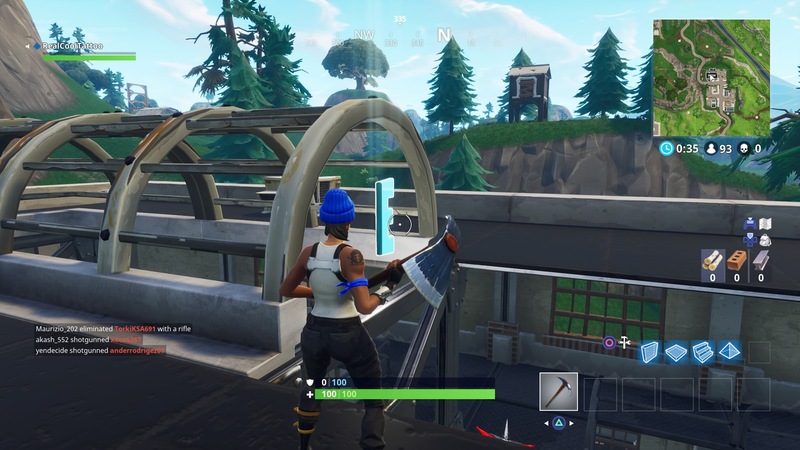 Next, you have to travel to the container area to the north of Retail Row and southeast of Tomato Town. The letter is high up on the beams in the centre of the area. 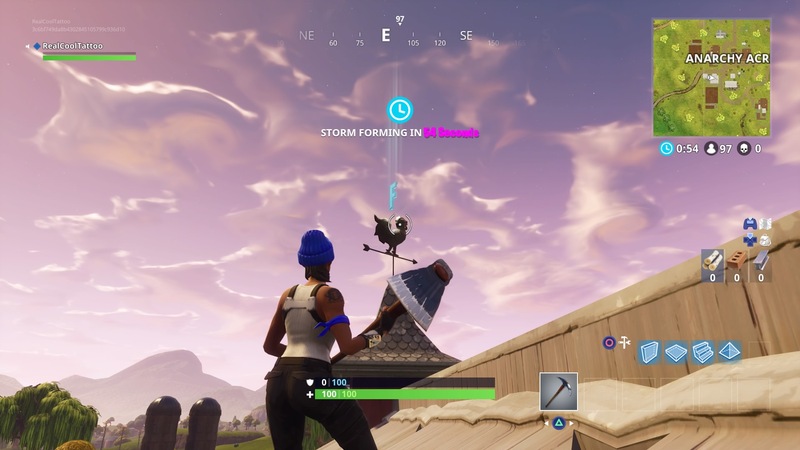 After that, there’s another letter on top of the projector at the southern edge of Risky Reels in the northeast of the map. If you’ve not dropped in here, you’ll definitely have to build to reach it. 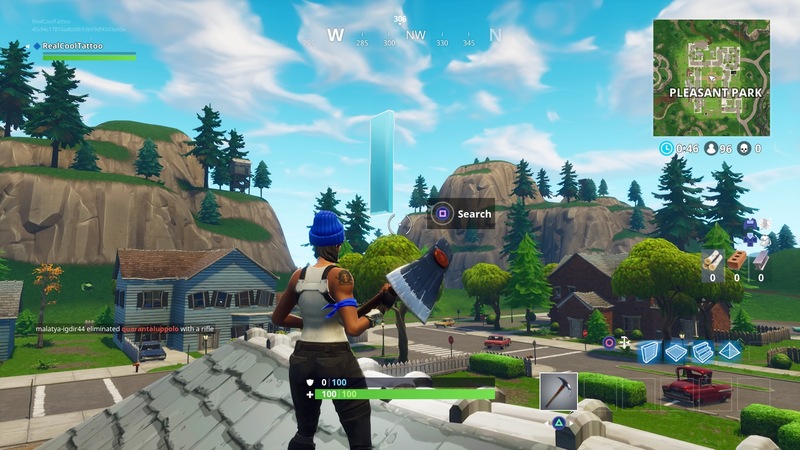 On the eastern side of Salty Springs, there’s a wooden lookout tower overlooking the town at the top of the hill. On top of this tower, you’ll find another letter. 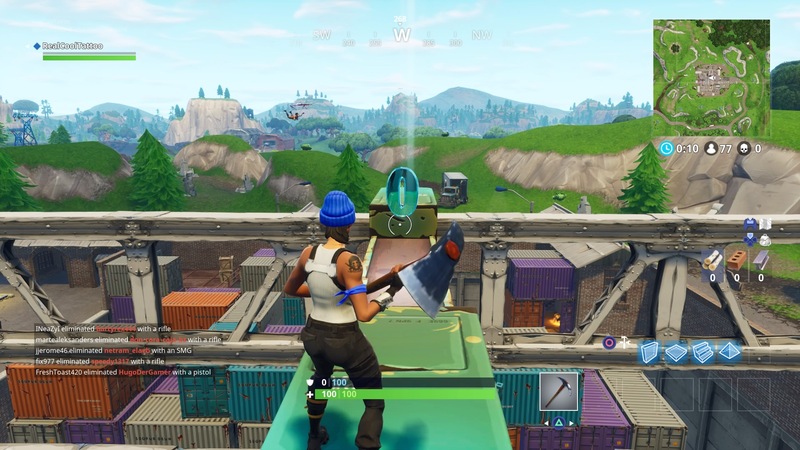 To find the letter in Tilted Towers, you’ll have to get to the top of the clocktower in the south west of the city. Because it would take so many materials to get here, we suggest dropping in on top straight from the Party bus. 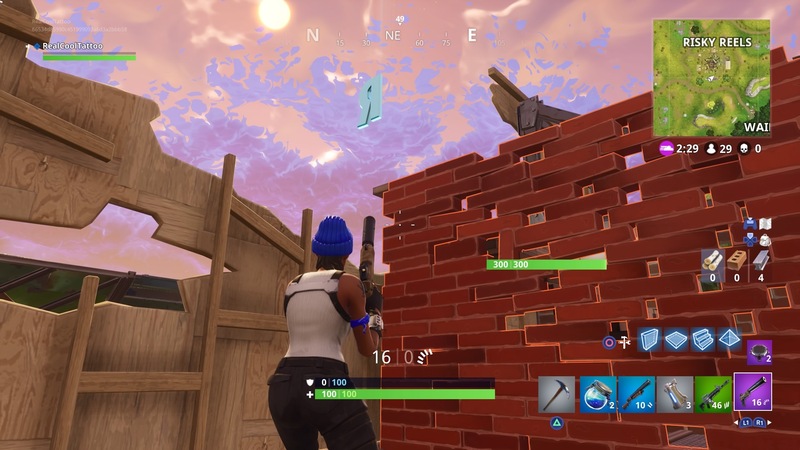 In the middle of Pleasant Park, you’ll find a small building with wooden beams and a grey brick roof. On top of this building is another Fortnite letter. 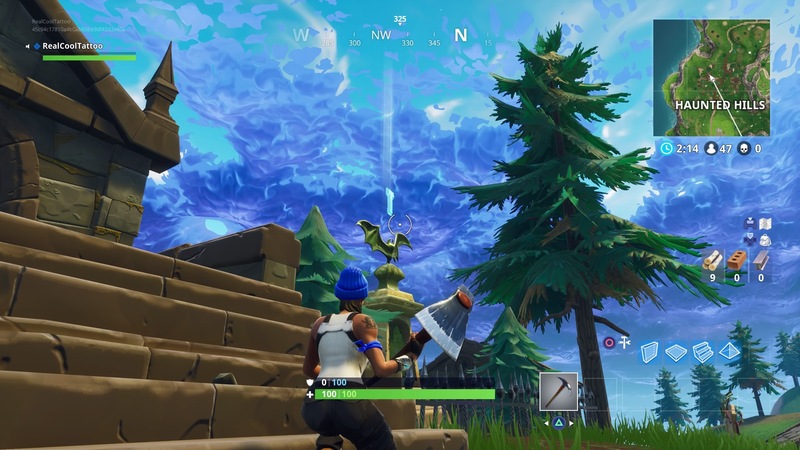 Over in the northwest of the map, you can find a letter over the top of a gravestone in Haunted Hills. This one’s a bit tricky to get to, you’ll need materials to build yourself a platform. The final location is to the northeast of Flush Factory. In the north of the second factory area just to the side of Flush, go to the northernmost tall building. 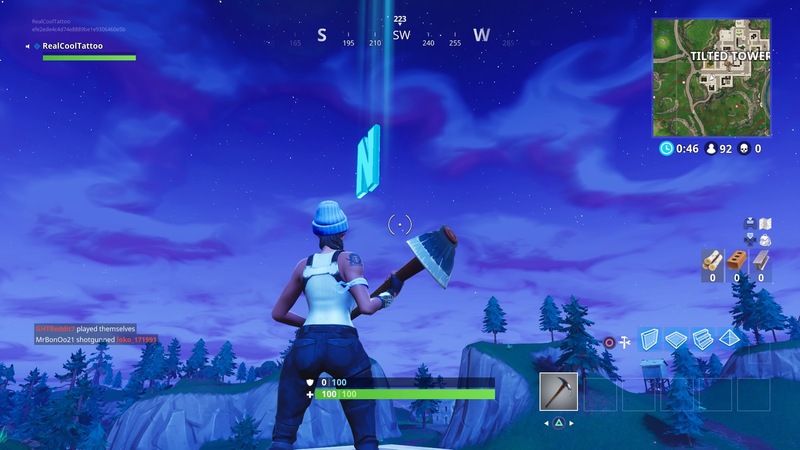 The Fortnite letter will be inside the roof, so you’ll have to break it open with your pickaxe. For more help with the Fortnite Season 4 Week 1 challenges, check out our page.